High alpha. A good dual purpose hop. 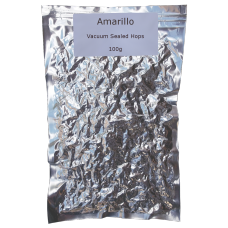 They have herbal and citrus aromas so can used in combi..
Low alpha acid and strong aromatics make them ideal for late or dry hopping. Moderate bitterness. .. Moderate alpha. Dual purpose but particularly good as an aroma hop. Aromas of lemon, grapefr.. Moderate alpha. Dual purpose. Can be used earlier in the boil for bittering or later for aroma. ..
Moderate-High Alpha. Dual purpose. 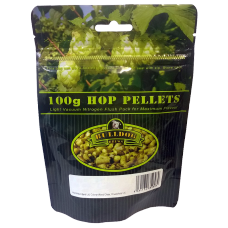 Can be used as a bittering hop early in the boil or later in the ..
High Alpha. A good bittering hop with aromas that work well for late kettle additions too. ..
High alpha. Dual purpose but particularly good for late hopping. Relatively new hop from the..
High Alpha. A good bittering hop with aromas that work well for late kettle additions too. Ide..
Low alpha. 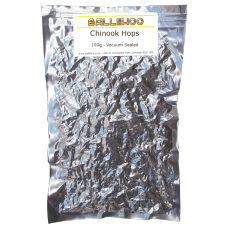 Good aroma hop for late additions or dry hopping. Delicate, spicy, floral aromas. .. 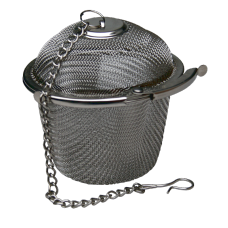 Hop 'tea-bag'. Adds flavour and aroma to beer. 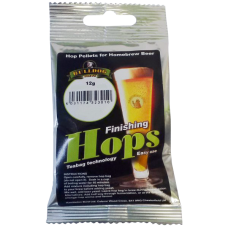 Ideal for adding to beer kits.. 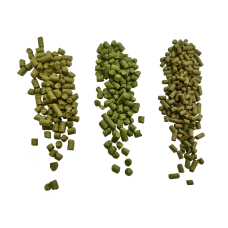 Medium alpha, this hop can be used all the way through, from the beginning of the boil to dry hoppin..
Low alpha, ideal for late additions. They have a mild grassy, slightly floral aroma. ..
Low alpha, ideal for late additions. They have a mild grassy, slightly floral aroma. A cla..
Galena is a fairly high alpha hop used for a balanced bittering. It also can be used for aroma,..
Low alpha. Traditional English aroma variety, smooth almost sweet, delicate and slightly spicy. 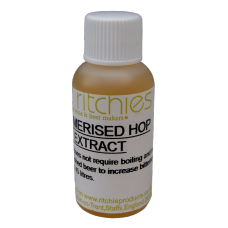 ..
Isomerised Hop Extract - Liquid Concentrate. Add to finished beer to increase bitterness. ..
New American high alpha variety bred from Simcoe and Nugget. Dual purpose hop. Good for bittering or.. Moderate alpha. Dual purpose but particularly good for late hopping. Relatively new, unique hop.. Moderate Alpha. Used as a dual purpose variety, it gives excellent bittering properties. Earthy.. Moderate alpha. Very low Co-humulone level. Good for late hopping. Relatively new hop from NZ, .. Moderate alpha. Dual purpose hop. Can be used in the copper or for dry hopping. Phoenix has exc..
Progress was originally introduced as a replacement for Fuggles and has very similar characteristics..
Low alpha. Ideal for late aroma hopping. Saaz hops have long been established as a high quality Euro.. This high-alpha aroma hop is dual purpose, but great for bittering with a bold lemon kick. Uniq..
Low alpha. Ideal for late aroma hopping. This distinguished variety is well known throughout th..
High alpha hop, mainly used for bittering. Intense spicy and citrus aromas. Popular for bo..
Low alpha. Dual purpose hop. Ideal for bittering and for late aroma hopping. Particularly known.. Moderate alpha. Dual purpose. Good for bittering and late aroma additions. Very similar to Gold..